My finely-tuned method? So-called "spot cleaning" with a high alcohol-based cleaner. After watching Mr Wayne Goss' YouTube video, I decided to procure for myself some Metsolv (this has become my HG brush cleaner) and I use it to clean my brushes in between each and every single use. Because it's a de-greaser, it manages to remove even the most stubborn of pigments from my brushes, and because it contains 99% alcohol, it additionally sterilises; and another major bonus - the brushes are clean and dry within minutes (bigger brushes) and literally seconds (smaller ones). Only problem: I can only source this cleanser in the UK, and they no longer ship to Ireland. So I stock up when I'm over there (I have tried to get in touch with the company that makes this to see if they have Irish distributors, to no avail). So when I run out of Metsolv, I have a second option, and this one is available in Ireland: Strictly Professional Cosmetic Brush Spray (the spray, as opposed to the cleaner). (this is manufactured by a UK company but they distribute through Flair and Capital Hair. They are also exceedingly helpful over the phone). This is a close second to the Metsolv; my brushes don't dry as instantly, but they are certainly fully dry overnight, there's no film left on the brushes, and they are clean and sterile. What I do is silly-simple: I pour some of the de-greaser into the saucer (in order to not waste product, I use a few squirts only per brush), take the dirty brush, swirl it around in the solution, then wipe the excess off on an old white towel (I used to use couch roll but I was going through a crazy amount of it, and a towel can be washed and reused), check the brush out it on a tissue and if it's clean, lay it on its side to dry. Which it does in a very short space of time. If not, lather, rinse, repeat. 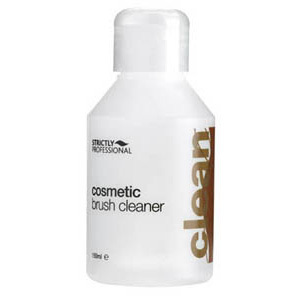 For those rare enough occasions where I am left with some pigment on brushes, I use a brush cleanser that contains an oil; this is the one I use and I highly recommend it: Strictly Professional Cosmetic Brush Cleaner (the cleaner, as opposed to the spray). I swirl my pigmented brushes in this, it removes the pigment, I then use an alcohol-based cleanser then to remove the oily cleanser. Presto change-o, all sorted. Note: for this cleanser, as with any oily type cleansers, you're going to need to do dual-cleanse your brushes, otherwise you'll be left with a slightly oily film on the bristles, which can impact your use of the brush later. Do I deep clean? I do not*. I know a lot of makeup artists, bloggers and others who would point and laugh at this, or outcry my bad sense. Aren't we told that we have to spot-clean after each use, and deep-clean once a month? But (a) why would I put my brushes through an unnecessary extra clean, when they're already cleaned and sterilised after each use? And (b) where is it written that using baby shampoo and water gives an actual effective deep clean? Each brush that I clean gets examined for pigment very simply by testing it out on a clean tissue. Anything that's not still leaching product is obviously clean. And because I use a product high in alcohol, it's also sterile. * Exception! I usually deep-clean (with warm water and baby shampoo) any really densely packed natural bristle brushes, or brushes that I use for foundation, or synthetic brushes. Products with a high alcohol content are really not great for synthetic brushes, in particular. I sterilise so-called "deep-cleaned" brushes once they have dried. I also deep-clean my beauty blender sponges with a disinfectant dish cleaner (eg Fairy Liquid or the like). The final step... because despite the fact that I don't shampoo my brushes, I am a clean freak, and hygiene is extremely important to me, I also have a double UV Steriliser that all of my brushes go into after cleaning, just to be sure to be sure. 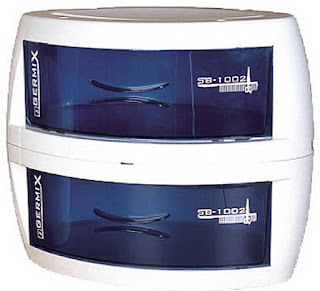 This runs for forty minutes and sterilises them very efficiently. The only remaining caveat that I'd make about Metsolv is that it's not great for cleaning cheaper brushes (I find that over time, it can occasionally dry out the bristles of cheaper brushes). For these brushes, I use the Strictly Professional Brush Spray, which is cheap as chips and really good in its own right. 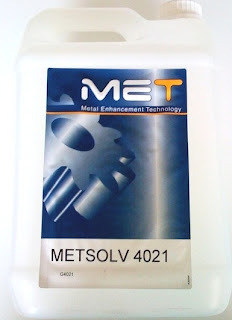 Metsolv 4021. As above. Number #1, the Daddy of them all, in my opinion. It cleans, removes everything, sterilises, dries quickly, however it's not available in Ireland, and there are some exceptions to its use (see above). Strictly Professional Cosmetic Brush Spray. Also as above. A very close second place to Metsolv, It's cheap, available in Ireland, can be used on all brushes, cleans almost everything, and sterilises, but it doesn't dry immediately, and for very pigmented product, you'll need to use an oil-based cleanser first. Strictly Professional Cosmetic Brush Cleaner. Also as above. This is an oil-based product, which is good at removing deep pigments, and it can be used with all brushes. As it's oil-based, however, it leaves a film. It cleans but doesn't sterilise. You need to double-cleanse with this. Shu Uemura Brush Cleaner. This stinks to high heaven of acetone. It mostly does the trick, but you need to use quite a bit of it. It comes in a glass bottle (glass is prone to shattering when it falls, making it a no-no for me). It can leave a slight film, and it doesn't clean everything very effectively. It's also not cheap. I won't re-purchase. MAC Brush Cleaner. Like most MAC stuff, it works. It's not my favourite brush cleaner. It's not cheap, it's not expensive. It works, but it doesn't dry immediately and it doesn't contain sufficient alcohol to really sterilise. Neither one thing nor the other, really - but handy if you're just spot-cleaning and you intend to deep-clean later. Make Up Forever Brush Cleaner. This contains highly scented topnotes of thyme. Why would you want your brush cleaner to smell of something you cook with? I guess it's probably to conceal the basenotes of alcohol. That said, it's not particularly good. After a few uses, a film builds up on your brushes, and it neither cleans them particularly brilliantly, nor sterilises them. Fail. Sephora Brush Cleaner. This is really not great, which is a shame (I love their eye makeup remover). I bought a travel-sized version of this to try it out - when it's used up, I'll fill the bottle with one of the first two above (it's a nice small sized spray bottle for travelling). Clinique Brush Cleaner. Meh. This needs rinsing with water after. I don't like it, but it does the job. If you're going to have to rinse with water, you might as well deep-clean though. So, I don't see the point. Parian Spirit. This was a huge disappointment to me. It was touted by many as their Numero Uno Brush Cleaner Supremo. 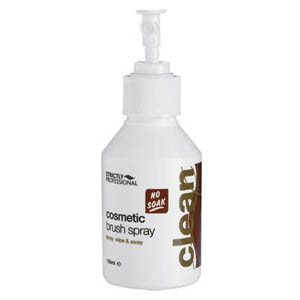 This is an ok brush cleaner; they sell it with a spray pump (great) and also with a jar and grate for cleaning (I have my own system so I don't need that, but it's a good idea, and it also comes in wipe form (very handy in a pinch). It's good for silicone based products alright, and I've heard a lot of people swear but it for their airbrush guns, but it's hard to get in Ireland and I'm not particularly bothered about getting it again). Olive oil. Yep, you heard me. Bog standard olive oil is great removing acrylic paint from body painting brushes. In a pinch, this can be used in place of Number 3 above either. You need to double-cleanse afterwards with an alcohol-based cleaner to get rid of all of the oil however. Isopropyl Alcohol. This is available in some pharmacies, and I find it's a bit harsh in all its undiluted glory, but it does the trick if you're really stuck; that said I would generally only use this as the second step of a double brush cleanse; it's not great at removing pigments (you need a solution for that) but it does sterilise effectively. As with all brush cleaning, but in particular with high alcohol products, try to make sure that the cleanser doesn't soak up into the brush ferrule, as it can loosen the glue. Back in the early days I lost many a brush to this. You live and learn. For the same reason, allow your brushes to dry flat, on their sides, so that any residual cleanser doesn't seep up into the glue. Wash your brushes gently. Dry them gently. Yanking them around and pulling at the bristles will encourage them to loosen. Re-shape your brushes before they dry. Gently. If you're using highly pigmented colours and white bristle brushes, it's a good idea to clean the brushes immediately after use, otherwise the bristles can become permanently stained. This isn't a problem, the brush in question can always be used for face charts, or for yourself only, but obviously as an MUA, I'm not going to use a brush that "looks like" it hasn't been properly cleaned on someone else's face. All brushes shed. A little bit, or a lot. 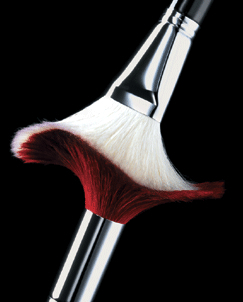 Some brushes (either low- or high- end) are just duds from the get-go, and shed like a wet dog, without let-up. If this is the case, bring them back to where you bought them from; chances are it was a bad batch. Mostly, they will be happy to replace them (at least in my experience). If you have a good brush that has started shedding a lot (and it never did before), chances are in this case that the glue has started to come loose. There's not a whole heap you can do at this point. Accept that at some stage in the future you're going to have to replace this brush. All brushes, even with care and attention, will need replacing eventually anyhow.